Festive Comedy Content for Spoke London Co-Written/Directed by Shimmy. This film celebrates spending time alone and was published on Valentines Day 2016 as Stylist magazines take on a day that so often neglects those not in relationships. Featuring a brilliant ensemble of empowered women who candidly discuss their experiences. The film was very successful reaching over 250k hits on facebook over a weekend. Touchable version - https://tabularasa-ny.com/pages/video-fashion-week-2017. Include more in-dept interviews with featured influencers shot on VHS. Directed a series of films, 'Styling Myth Buster' for GHD. Accepted as part of Raindance Independent Film Makers Festival 2015 - In 'The Lost Sensations' Category. Lit and shot the lovely ladies featured in this fun film for Breast Awareness week. Working with Elle, we created this film for Coops London. A quirky, style guide for the Holiday Season. Shot in Fire Island, New York. At home with King Krule and family as the teen wonder prepares to release his genre-mashing debut album. Fashion content - Shot in London's Trocadero Centre, featuring Anna Brewster. SB:TV | Giggs + Loco Dice "Get Comfy"
Mini-Doc shot on-set of the music video for Loco Dice and Giggs track "Get Comfy"
Currently in post-production, short film about sculptor, Isabel Case-Borgatta, who at the time of our first meeting in 2013 was aged 94 and living and working at unique, artist residence and community - Westbeth in NYC. Shot, directed and edited this film for John Varvatos Fashion Show and after-show Party. Commissioned by Paper London, in an ongoing collaboration to shoot a film for the A/W 2013 campaign film. For this I teamed up with Elle (Hendrix + Belle) and togteher we create this animated film, which was made from cuttings from the mood board and look book. Commissioned by Paper London, in an ongoing collaboration to shoot a fun, creative film, on-set the SS 2012 shoot. Shot this BTS on set at London Fields Lido, Hackney. Radio 1's, Nick Grimshaw, doing a Justin Bieber Beauty and The Beat with Sink The Pink. 'How To...' film - from a series created by Shimmy TV for Hersheson Blow Dry Bars. 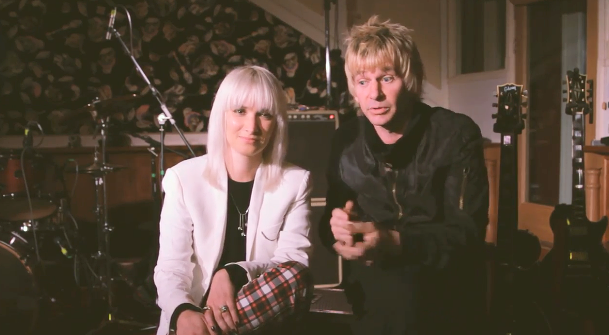 Working with Zak Starkey and Sshh Liguz of The Band Sshh. Various video/photo based content creation; working with the Topshop digital team. Commissioned by Mania Mania Jewellery brand to create content around their 2014 'Obscura' collection. Featuring Julia Roitfeld. As Creative Director at Stylist Video, I worked on creating content strands with editorial teams. This film is a beauty piece on applying make-up whilst on public transport with Director-At-Large, Joanna McGarry. 'How to…' Content created by Shimmy TV for Luxury interiors company House of Hackney. Promo film Shot/Directed by me for LAL language schools, shot on Sony FS7 in Locations in and around NYC. Harris Elliot & Dean Chalkey Interview - "Return of the Rudeboy"
Directed and shot this piece covering 'Return of the Rude Boy' exhibition at Somerset House. Featuring photographer - Dean Chalkley, Curator - Harris Elliot and Styler - Bevan Ageyman. A film about an app devised by artists Iain + Jane in conjunction with Kurt Schwitter exhibition at The Tate Britain.